It is 7 a.m. in the ancient, fabled city of Kathmandu, Nepal, and Pramila Thapa is a whirlwind of activity. Her agenda for the day includes meetings at the hospital she helped found, recruiting students and teaching university classes, developing funding strategies with the International Rotary Club, and, at the moment, Skyping with At the Ready Magazine. The topic: catastrophe. Pramila is currently a Senate Member of Purbanchal University, Biratnagar; the Chief Executive Management Consultant of Green City Hospital, Dhapasi, Kathmandu; a member of the Executive Board of the Nepal Nursing Council; and a Subject Committee Member of Nursing Faculty, Pokhara University, Nepal. She holds a Masters Degree in Community Health Nursing, another Masters in Public Administration, and is working on her Ph.D. Pramila trained in neighbouring India, but in 2003 she opened the Yeti Health Sciences Academy to train nurses, radiology and laboratory technicians. In 2011, she was instrumental in starting a private hospital in Kathmandu, Green City Hospital. Pramila is proud of Green City Hospital, which she describes as "a modest hospital providing state of the art technology in its medical services… The hospital is dedicated to be the best in patient care and customer service and we are working hard to be our hospital of choice providing the highest quality health care service with a caring human truth." The facility houses 100 beds, 15 in ICU. 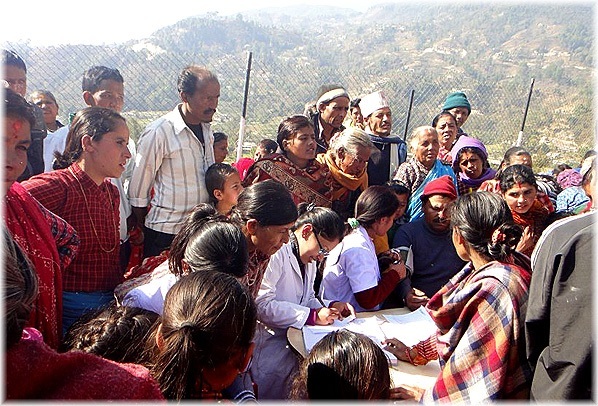 While the doctors are largely drawn from the international community, much of the nursing staff and technicians trained in Pramila’s Yeti Health Services Academy. Pramila’s long-term goal is for the hospital to "promote a health care system based on social justice, well within the reach of ordinary citizens." Currently, Pramila’s most urgent mission is to implement an emergency management program. While the hospital receives only about 20 calls a year for its two ambulances, Pramila feels the pressure to be proactive. The potential for catastrophe looms. "Nepal is similar to Haiti," Pramila fears. "With increasing and unplanned urbanization and the mushrooming of high rises in the capital city, Nepal is a disaster-prone country because of its geo-physical condition. It is vulnerable to natural disasters like floods, landslides, epidemics, fire, earthquake, windstorm, avalanche, thunderbolt, glacier-lake outburst and cold wave." Nestled in a high valley amid the seismically active Himalayas, Kathmandu shares Nepal’s high risk of earthquakes. According to Pramila, Nepal routinely experiences quakes in the 5-to-6 range on the Richter scale every two to three years. Major quakes between 7.0 and 7.5 are statistically probable every five years, and between 7.5 and 8 every forty years. A super-quake of magnitude 8-plus occurs every eighty years, on average. Major quakes devastated the country 1934, 1980, and 1988. In addition, floods in 1993 and 2002 caused widespread death and destruction. At present Kathmandu and Nepal don’t have a disaster-response team or training program, and Pramila first needs a curriculum to help build them. At the Ready asked how the international community could help. To begin, "I need financial contribution to conduct my study, visiting different countries to see models, providing guidelines which can work to developing countries. The international community can join with helping Nepal create national rules and regulations." Then, she says, "I can contribute manpower and methodology." For more information, or to submit a curriculum to Pramila, please contact At The Ready Magazine at admin@atthereadymag.com, or Pramila directly at pramila_31@hotmail.com. For more information about Green City Hospital, please visit their website located here and follow them on Facebook.